Healing Liver Cirrhosis: How To Heal from Acid Reflux / Heartburn / GERD, when you have Cirrhosis of the Liver - or even if you don't! I say this all over my blog but I will say it again, I am not a doctor and am unable to give medical advice. If you have cirrhosis, you absolutely should be under a doctor's care. I have many different recommendations for supplements but I am not a doctor and cannot advise you on what you should take and what you should not. Certain things may have worked for my husband but I cannot say they will work for you. You may need more than what he needed. Cirrhosis is a very serious, life threatening condition that hospitalizes over 300,000 people per year and 25,000 people die from it annually (these statistics are from the US alone). 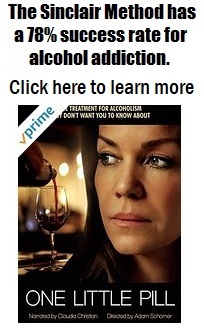 Make no mistake, cirrhosis kills, and it kills often. If you are in stage 3 or 4, you should take this very seriously. DO NOT WAIT TO DO SOMETHING ABOUT IT! Update 5/12/15: Please note: Jake is no longer taking the supplements I'd mentioned previously - not because they didn't help his acid reflux at all, but because we found something we liked better (and it was less expensive)! In August, after we learned how dangerous Proton Pump Inhibitors are, Jake started using a combination therapy of Probiotics, Aloe Vera Juice (the George's brand) and Apple cider vinegar (more info about all of that is further down on this page). Unfortunately, after taking these things for a few months, one day he confessed to me that, while these things did provide him some relief, it didn't take away his discomfort as well as the PPI's : (. Needless to say I was sad to hear this, after all the research I'd done to try to find alternative treatments that worked! Neither of us felt comfortable with him going back to taking Proton Pump Inhibitors, after we'd learned that PPIS cause SCARRING OF THE LIVER (oh, that little thing), OSTEOPOROSIS, LOW IRON and more! Well, as if it were a gift from above, shortly after he told me he needed something stronger, we found out about a special kind of detox water that seemed to help many people with Acid Reflux. Sure enough, after Jake drank this water, he didn't have a problem with acid reflux. Did I say this water is a cure? Nope. A cure is something you do just once and it's gone forever. Jake plans to drink this water for a long time. Luckily, he actually enjoys drinking this water (I think because it's actually lighter than regular water). But the best part is that, it seems to help reduce scar tissue (I believe this is because it has properties that are similar to many of the supplements that are shown to reduce scar tissue). This water appears to be even stronger than any of those supplements I listed. I also think that it could be helping his liver to regenerate (the water seems to have the ability to make supplements even stronger... so he finally got off his last 2 medications and is no longer on a single one!!!!). He also feels great and has started lifting weights and can run a fast mile with no training. Not bad for someone who was told he'd have to get a transplant, and would probably have to go on disability, a year and a half ago. 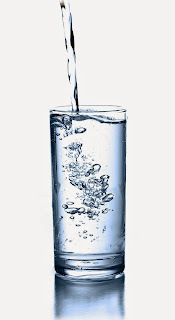 I watched several testimonials by people who said this water helped them with liver disease and cirrhosis, and one guy even said his doctor could no longer find a trace of his Cirrhosis, after he'd been drinking it. He didn't even believe it himself at first since he'd had cirrhosis for about 6 years and had been taking medications for it. I can send you the videos if you contact me through the contact form on this blog (it's how I can keep track of people). Don't worry about spam or privacy. Your email will never be sold, and if I do send you more than one email you can just let me know you don't want any more and I'm ok with that. I would highly recommend this water for anyone who is trying to heal from Cirrhosis. To learn more about it, CLICK HERE. If you are suffering from Heartburn / Acid Reflux / GERD, your doctor may have prescribed a Proton Pump Inhibitor for you (and once you're on them, you can't just stop cold turkey, your body becomes addicted to them, so if you're going to go off them you are supposed to do it gradually). Doctors prescribe these because it's a quick, no-brainer method to keep your stomach or esophagus and stomach from bleeding (which could lead to death if you have cirrhosis). But in my strong opinion, it's not a healthy long-term option. I recently learned that the FDA issued a warning that proton pump inhibitors (PPIs) have serious risks when taken for longer than 6 weeks... and they actually can CAUSE scarring of the liver... so if you have cirrhosis of liver or kidney fibrosis, they can actually make your condition worse. Your doctor is very unlikely to tell you about these warnings... ours sure didn't! And in fact, there is a good chance they aren't even aware of how dangerous these are for cirrhosis patients, or that they cause scarring of the liver! When I mentioned the FDA warning and the fact that PPIs cause scarring of the liver, to the HEAD NURSE at the Department of Liver Disease where my husband gets his treatments (considered one of the best in the country), she said she had never heard that before. Yes, really. You can read more about the dangers of PPIs on THIS PAGE. My previous posts about PPIs can be seen HERE, HERE and HERE. There are over 16,000 articles that will show you that Acid Reflux is not caused by too much acid. In fact, Acid Reflux and GERD are actually caused by a LACK of stomach acid! If you go on youtube you will find LOTS of doctors who confirm this! I've posted several of these videos below. Please watch them and decide for yourself. Dr. Chris Kresser says: "heartburn and GERD are not caused by too much stomach acid. They are caused by too little stomach acid and bacterial overgrowth in the stomach and intestines. Therefore successful treatment is based on restoring adequate stomach acid production and eliminating bacterial overgrowth." If you are on Proton Pump Inhibitors, you can't just stop cold turkey or your symptoms will get much worse. You actually have to wean yourself off them over a few weeks or even months. 1) Aloe Vera Juice. 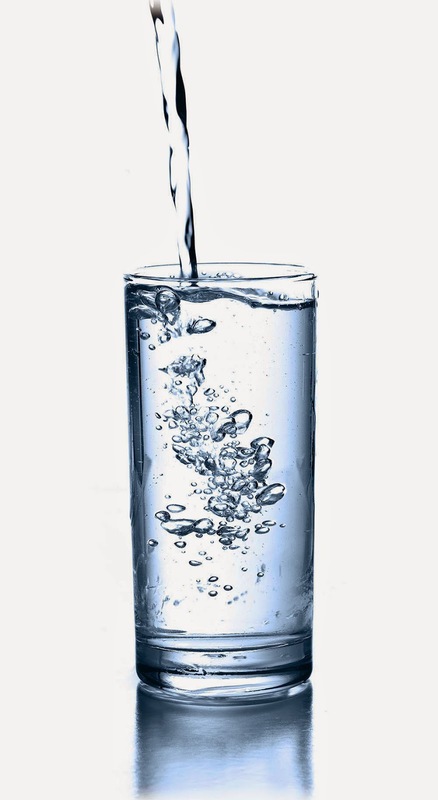 It can help your stomach heal, and it balances the pH in your stomach.Jake drinks about half a cup per day. Aloe has incredible healing powers that have been known for thousands of years. This may be my personal opionion but I believe it may have reduced his risk for esophageal bleeding when he had cirrhosis (which is part of the reason doctors prescribe PPIs for patients... they make the assumption the patient has no other way to keep their esophagus and stomach healthy, and keep it from bleeding). 2) Apple Cider Vinegar. Take a tablespoon before each meal. You can mix this in 4-6 ounces of water. This will help you increase the acid in your stomach, which will help prevent the acid reflux! 3) Probiotics. Jake takes one pill per day, which has 20 billion microorganisms in it. It restores beneficial bacteria and a healthy mucosal lining in your gut. Without this healthy mucosal lining, your digestive system can't function properly. You wouldn't think this would actually work because people don't usually talk about probiotics and mucosal linings and what they do, but trust me... probiotics work. They work for Jake, they work for me, and they work for our pets! 4) Vitamin D3. Jake takes 5,000-10,000 IU per day. He has done this for over a year because of all of the health benefits of Vitamin D (including reducing liver fibrosis and easing back pain), but I just recently learned from Dr. Mercola that this will help acid reflux, also. Please note that Vitamin D is not a water soluble vitamin so you're supposed to make sure you're not taking too much, but I've heard it's considered safe to take at least 5,000 IU. If you want to be on the safe side, get your blood checked. A person with cirrhosis may not be able to handle all the supplements they would have been able to take pre-cirrhosis. Please note that early in the year Jake spent over $2,000 seeing a chiropractor because his back pain was so bad. But he takes Vitamin D and uses a PEMF machine, and his back pain just isn't a big issue anymore. Acid reflux occurs when the sphincter muscle at the lower end of your esophagus relaxes at the wrong time, allowing stomach acid to back up into your esophagus. This can cause heartburn and other signs and symptoms. Frequent or constant reflux can lead to GERD. The following videos will show you how Apple Cider Vinegar, Probiotics and Aloe Vera juice can help you naturally heal your stomach and prevent acid reflux. Had to include this video by Dr. Glidden. I do want to point out that doctors do say they give PPIs to stop esophageal and gastric bleeding, but in my opinion, giving a cirrhosis patient something that will increase their scar tissue, will just make the problem worse. Chris Kresser has a lot of really great information on his website. He is one of the few doctors out there that understands the importance of probiotics and has seen a lot of healing and improvement in his patients. The problem with fermented milk products in the treatment of heartburn and GERD, however, is that milk is relatively high in carbohydrates. This may present a problem for people with severe bacterial overgrowth. However, relatively small amounts of kefir and yogurt are therapeutic and may be well tolerated. It’s best to make kefir and yogurt at home, because the microorganism count will be much higher. Lucy’s Kitchen Shop sells a good home yogurt maker, and Dom’s Kefir site has exhaustive information on all things kefir. If you do buy the home yogurt maker, I suggest you also buy the glass jar that Lucy’s sells to make it in (rather than using the plastic jar it comes with). If dairy doesn’t work for you, but you’d like to get the benefits of kefir, you can try making water kefir. Originating in Mexico, water kefir grains (also known as sugar kefir grains) allow for the fermentation of sugar water or juice to create a carbonated lacto-fermented beverage. You can buy water kefir grains from Cultures for Health. I also want to promote a site I just saw, where a woman tells the story about how doctors had her on PPI's for over ten years and she was just getting more and more sick! You can learn a lot on her page, at CUREYOURACIDREFLUX.COM. Hello, my name is Lee, this is my first time blogging so please forgive any roughness around the edges of this first post.I have recently come across a U.S. patent EP 2209377 A1 concerning the use of vitamin D3 as a treatment to cure or prevent fibrosis of the liver,pancreas and kidney.If you google this or the use of vitamin d3 to cure liver fibrosis you will find several studies, research papers etc that confirm this.It is very apparent that fibrosis of the liver and consequently cirrhosis can be cured by consuming vitamin D3! As well as fibrosis in the pancreas as a result of acute or chronic pancreatitis and kidney fibrosis.In my limited research there is a concern of hyper calceamia, to much calcium in the blood and subsequent calcification of organs and the arteries of the heart with high vitamin D3 dosing. This can be ameliorated with supplementation of vitamin K2, more specifically menaquionone 7 (MK7). As an addition to vitamin D3/K2 supplementation to cure liver, kidney, and pancreatic fibrosis, you should read an E book by Jeff t Bowles titled The Miraculous Results Of Extremely High Doses of The Sunshime Hormone. That details a vast number of chronic illnesses, metabolic diseases and ailments that are improved or cured by moderate to high dose vitamin D3 supplementation.in the book he stresses that one must, must consume vitamin K2 with high dose D3 in order to save guard against hyper calceamia and it's consequences.I hope this is helpful to people.Google the health benefits of D3 and K2(MK7) cure fibrosis with a cheap combination of vitamins available on eBay, Amazon your local healthcare/ vitamin shop.All the best. Thanks for sharing Lee. I have actually mentioned that book to many people, a friend of mine took very large doses of D3 and got great results. She did have to have her blood levels monitored but it worked great for her. We are so D3 deficient these days. I agree it is a cheap supplement that really helps! You are so welcome, I'm happy to help! 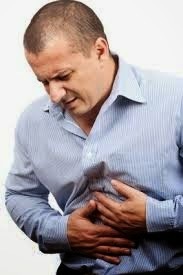 Really it's the one of the best informative post about the Acid Reflux. I will share it with my uncle who is suffering from this acid reflux. Now he is under natural remedy treatment and hope he will get helpful information about the Acid reflux. Cool, glad you found it helpful, Diana! Have a great day!